You think you know Van Nuys. And then some small remnant of old property appears. And you are pulled back into a long lost world: unguarded, spacious, verdant, shaded, open and expansive. It happened a few days ago, when I was traveling on Sherman Way and turned up Katherine Avenue, west of Hazeltine, to avoid late afternoon traffic. 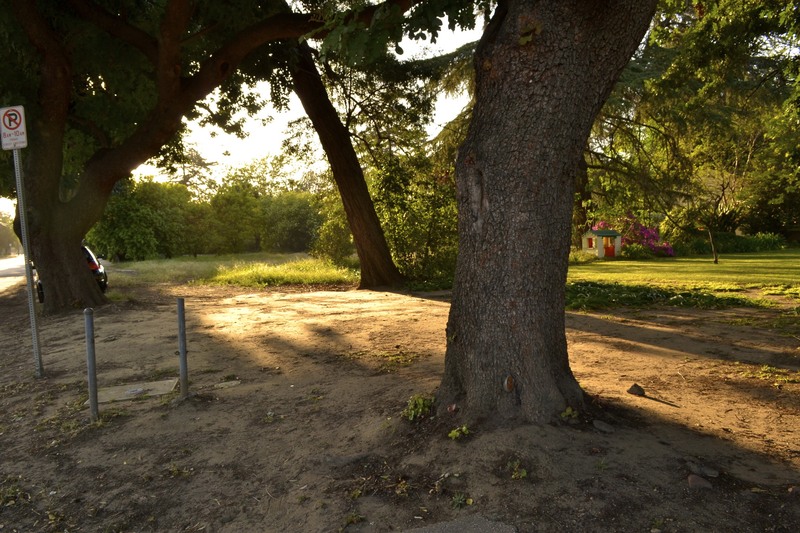 As I approached Valerio, I saw the old San Fernando Valley in an apparition: a few large parcels of land, shaded by large trees, a ranch house set back from the street, unenclosed by fences, iron, brick, or barking dogs. 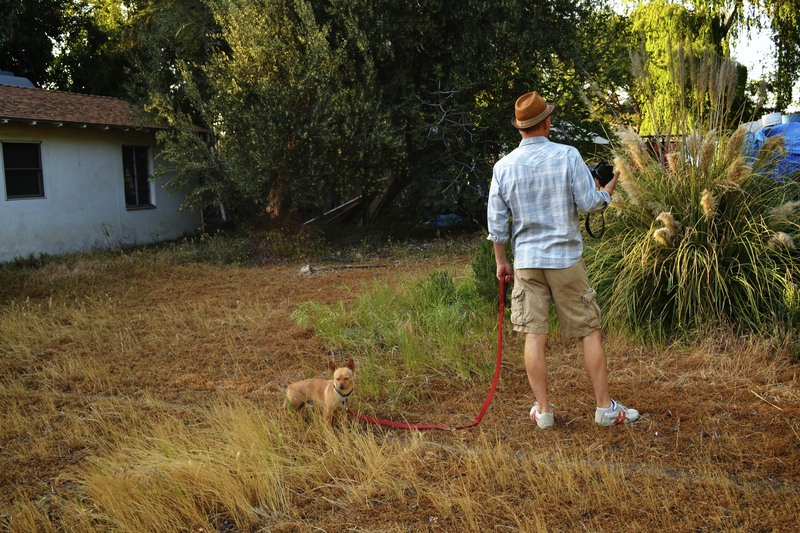 I returned last night with Andreas from Up in the Valley to explore the neighborhood. 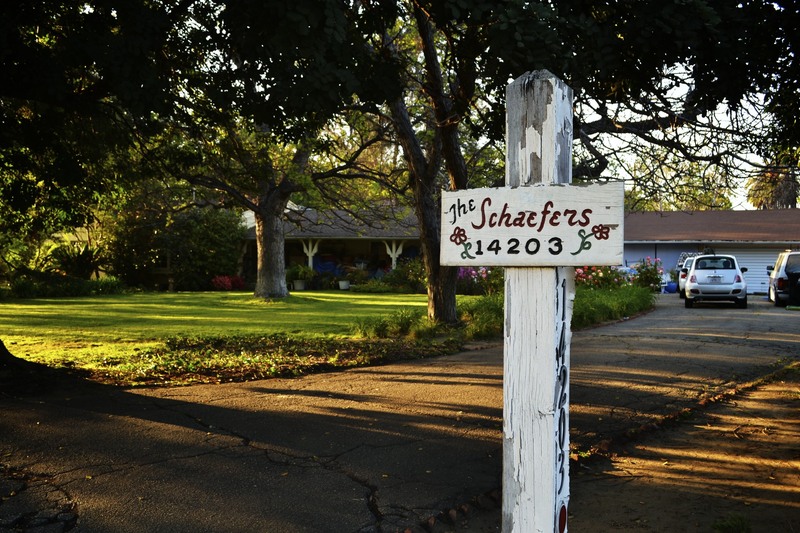 At 14203 Valerio, we found a long driveway, headed with a sign of a family name: “The Schaefers”, and beyond, in the distance, many rose bushes, the long exterior eaved porch; all the indicators of normalcy and domestic tranquility that once presented itself in abundance around these parts. I was surprised that some industrious Armenian had not bought up the land, torn down the houses and erected a cul-de-sac of concrete and columns, but there it was, a lone sweet house, a place that seemed welcoming, not hostile, unafraid and hopeful, a residence of grace and generosity, without violent defenses, grotesque proportions and malingering meanness. There were no large SUVs, pit bulls, cinderblock or steel window bars. This was Van Nuys as it once was, up until perhaps 1975, a lovely place to live. 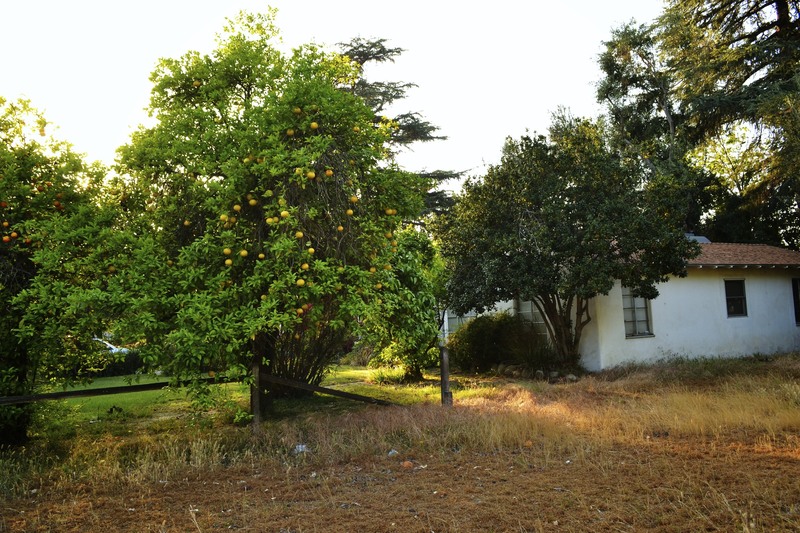 There was a large unpicked grapefruit tree in the yard, an old tree, another symbol of the post WWII days when organic was the only type of eating, and unselfconscious Californians ate well in their own backyards. This house and this land will probably not survive in its present incarnation much longer. If there were a Van Nuys Historical Society it might honor this home with a citation. But for now only the camera can capture what was and what still is. I was fond of driving this part of Valerio in the early 1970s (my late teens), especially enjoying the sections with big street trees and no curbs or sidewalks. Somewhere I must have a few photos, taken presuming it would all get rebuilt soon. Yet four decades later a fair amount still remains. Katherine is one of the prettiest streets in Van Nuys. Especially between Sherman Way and Valerio. It’s almost like you’re not in Van Nuys. I’m just behind them on Tyrone, and almost wish we had bought there instead. Funny how one block makes such a big difference in Van Nuys. Each street has its own character. 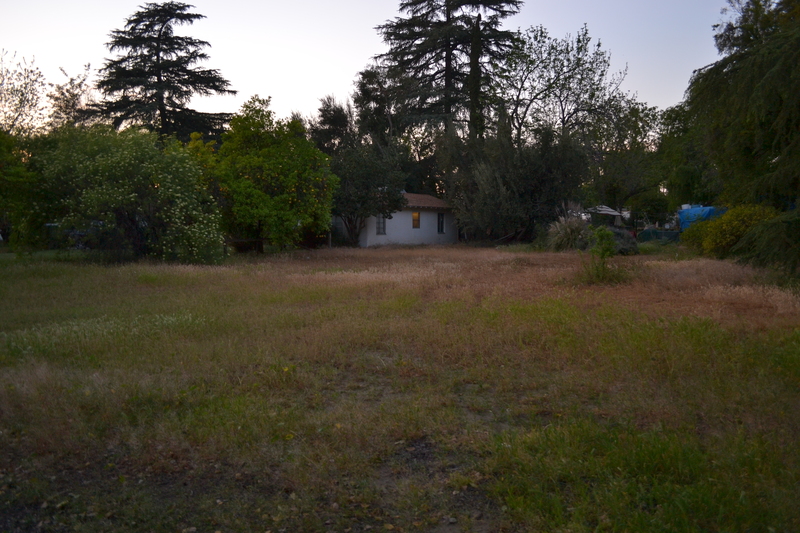 Drive back–look at the house at Valerio and Sylmar (I think). available at CSUN), the illustrator drew all the “best new houses” that way–but very few were built that way.